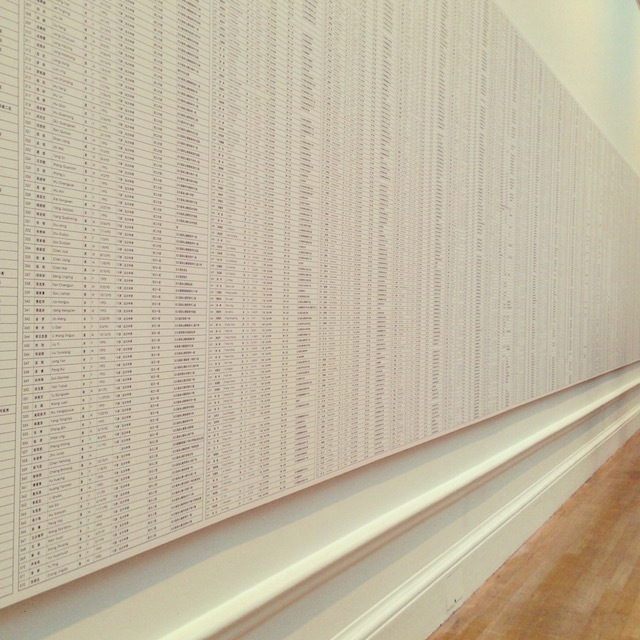 Described as ‘momentous and moving’ by the Guardian, the cultural phenomena Ai Weiwei’s exhibition at the Royal Academy, London has been the talk of the town. 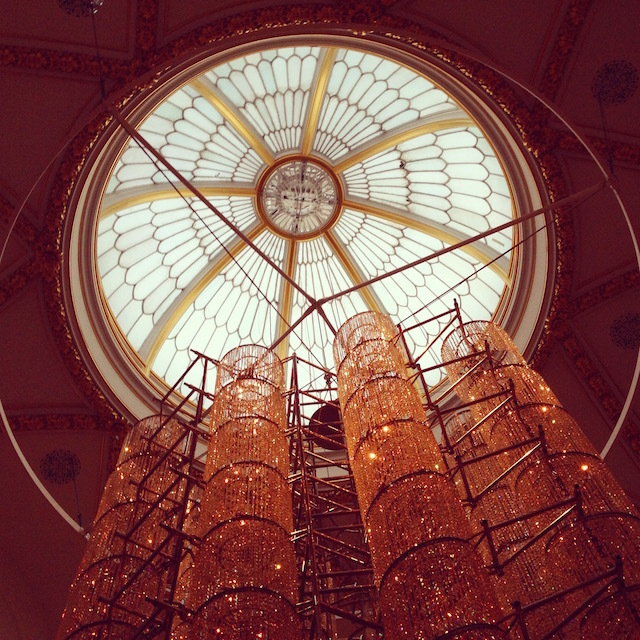 Throughout September, photographs of his crystal Bicycle Chandelier have dominated social media, building a sense of anticipation amongst his faithful followers. Given that he’s only just been permitted to travel, excitement was intensified by his march alongside Anish Kapoor in support of the refugees. Reflecting his combined existence as artist and activist, Ai declared to the press, “artists are part of the story of a response, we cannot stand aside.” Having conversed with his fellow political dissident, the 'barefoot lawyer' Chen Guangcheng in New York, I was familiar with the human rights abuses, which reverberate in contemporary China. 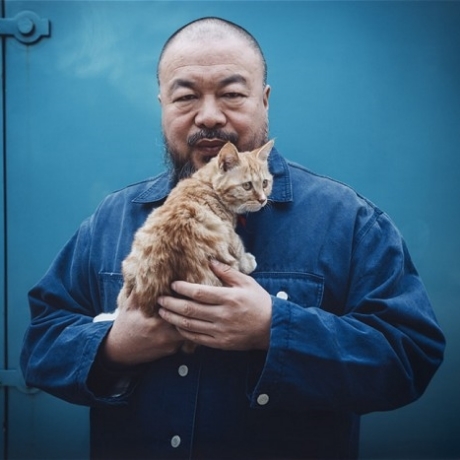 Although, despite Ai Weiwei's fame in the UK, one might argue that his art embodies the Western perception of China, rather than China’s perception of itself. Though, perhaps that’s for Chinese contemporary art connoisseurs like his patron Uli Sigg to discern. 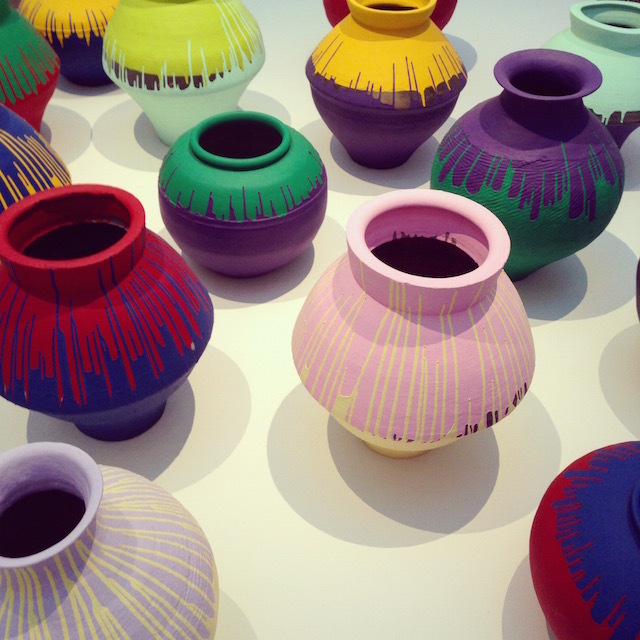 Of the installations, I was most afflicted by his metamorphosis of a series of historic ceramic vessels. From Neolithic pottery to Qing dynasty porcelains, he diverted their value, making a statement about how China has ultimately deteriorated in pieces like Coloured Vases, where he painted over Han dynasty (206BC-220AD) and Neolithic (5000-3000BC) vases with industrial paint. The photographic series Dropping a Han Dynasty Urn captured Ai Weiwei destroying a watershed of Chinese culture, as if he were slashing an Old Master work. 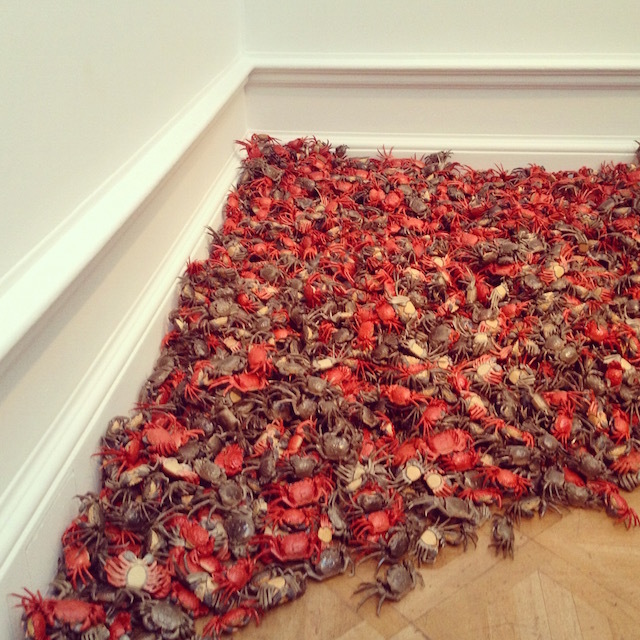 Oddly, given his penchant for destruction, he also celebrates Chinese craftsmanship in the series of porcelain crabs, He Xie, which protested the closure of his studio. I was pleased to discover that immersive works like Fragments, had an almost meditative effect, like wandering through an ancient forest. There was a sense of nostalgia in the blend of tieli wood tables, beams and pillars from dismantled temples of the Qing Dynasty. However, the political statement made by the bird’s-eye view was rendered obsolete. Had there had been a staircase, we would have better understood that the skeletal map of China and Taiwan was Ai Weiwei’s commentary on the 'one China' state-sponsored policy aimed at promoting China's sovereignty and territorial integrity. Finally, embodying his declaration, “I challenge the form,” Ai Weiwei captured the abuses of human rights in China in a series of exquisitely crafted objects like the jade handcuffs referencing his secret detention in 2011. There is no doubt that there is both a sentimentality and irony to his use of traditional Chinese materials like jade, porcelain and tieli wood. 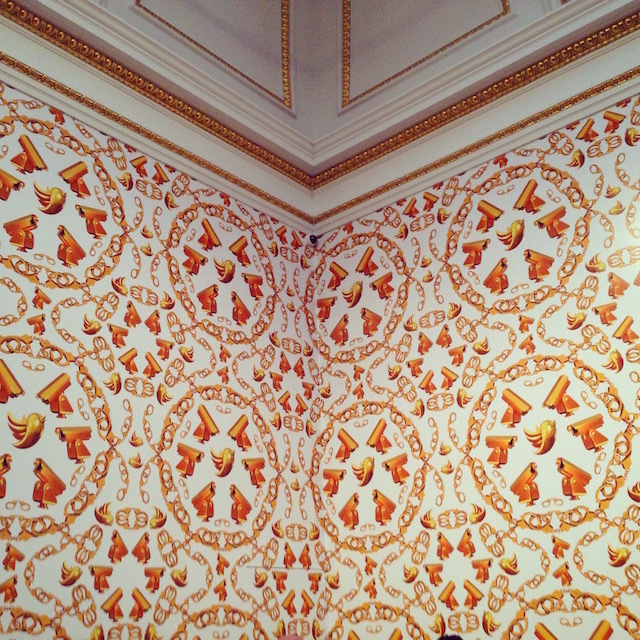 There was a natural progression into the room of ‘Golden Age' wallpaper printed with the symbolic Twitter logo, handcuffs and surveillance cameras, which evoke such mixed feelings in us all. Punctuating the space were boxes containing physical replicas of his cell. Constructed from memory, the very act of peering into each box evokes a strong sense of claustrophobia. 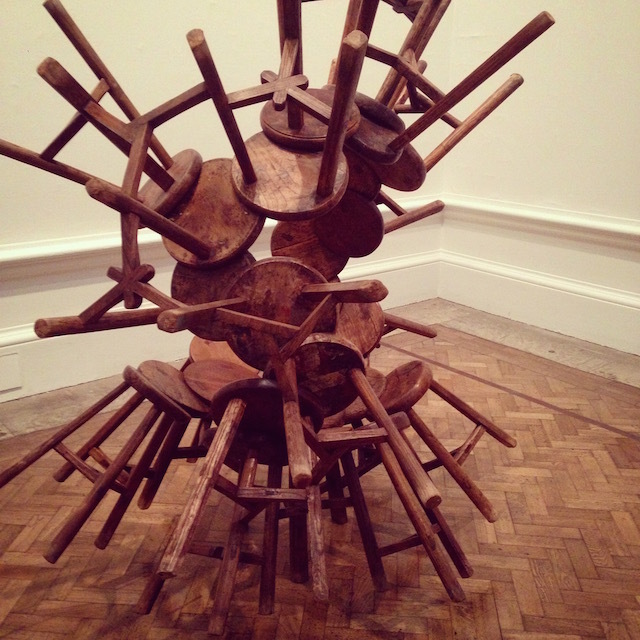 Even as I left the Royal Academy, I was still lost in thought as to whether Ai Weiwei’s conceptual art is beautiful, because of its political poignancy, or because of the craftsmanship, which makes it so exquisite. I would so recommend going to see the exhibition to form your own opinion and engage with the endless debates about human rights issues in China, which have been forming in his wake.